Millennials would rather not have a closet filled with clothing that is considered “popular,” a new survey suggests. For this reason, their fashion purchases are not likely to be guided by the opinions of online influencers and others on their radar. A study conducted by researchers from LIM College in Manhattan found that less than 7% of Millennials reported being influenced by the opinions of bloggers and vloggers. Professors Robert Conrad and Kenneth M. Kambara say that it’s the “newness” of a product that often lands it in the shopping cart of a Millennial. "Our study is very revealing about what these millennials' purchase drivers are and how the fashion industry is executing on them. Each views her or himself as a 'market of one' and wants to have something exclusive and not readily available to others,” said Professor Conrad. “They want to put their look together in their own original, authentic way,” he added. 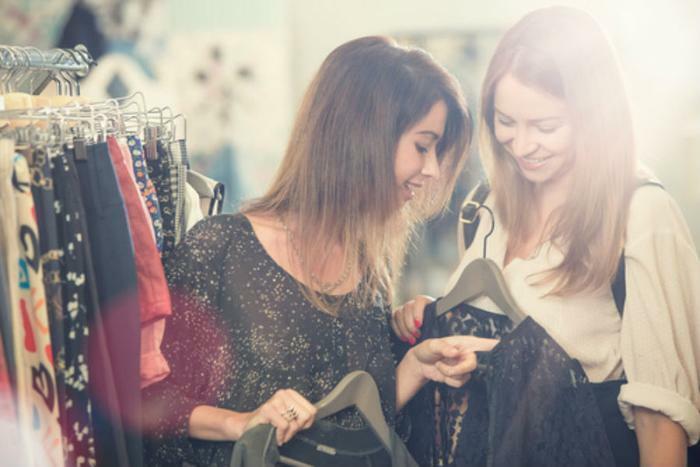 In fact, the study found that 62% of Millennial consumers consider the uniqueness of an accessory or article of clothing to be the most compelling reason to make a fashion purchase. For their study, “Shopping Trends Among 18-35 Year-Olds,” the researchers polled 665 Millennials. In addition to revealing that Millennials want clothing that is unique, the findings suggested that fashion brands may want to change their approach to marketing to Millennial consumers. "To millennials, the uniqueness of the product is more important than the brand attached to it, or what 'influencers' might say about it. As soon as a fashion item is seen as popular, mainstream and easily accessible, millennials will immediately abandon it. Unlike their parents at the same age, there are no 'uniforms,’” said Dr. Kambara. Instead of offering the same products and advertising through influencers, Kambara says fashion brands should focus on the uniqueness of the products they offer. Changing product assortments more quickly may also help, as Millennials tend to have short attention spans. “Not only must the offerings be new and different, there should not be a lot of them available. This is what Zara does so well. While customer satisfaction, perceived price-value ratio and the overall shopping experience drive choice, for millennials the fundamental differentiating factor is product uniqueness and innovation."